New York, New York, August 9, 2018 – Today Carl Icahn released the attached open letter to shareholders of Cigna Corporation. Cigna’s letter yesterday was full of platitudes, self-praise and obfuscations, but never answered the overriding questions asked not only by me but by such people as Pfizer CEO Ian Read and U.S. Secretary of Health and Human Services Alex Azar challenging the need for the existence of the “rebates” responsible for Express Scripts’ profitability. Read has said: “At this moment in time, about 40% of pharmaceutical prices are subsidies to the rest of the health care system. We realize some 58% of our list price. The rest goes to subsidize profitability of PBMs, insurance companies and, frankly, premiums for those that are healthy. This is not a sustainable position, and so removal of the rebates, I believe, will be very beneficial to patients and our industry, especially those companies who are launching new products over the next five years or so. With the removal of the rebates, we will remove the sort of what we call the rebate trap, whereby access is denied to innovative products because of a strong position of another product with its rebates.” Instead of answering this criticism, Cigna’s letter simply attacked drug producers in general, who are the very people Express Scripts deals with every day. Secretary Azar said: “The key is can we detach the incentives of everybody in the system from these artificial list prices. Rebates are a cut, a percent, of that artificial list price and they basically foment this game we have of list price goes up, rebate goes up, where everybody’s winning except the patient, who ends up paying out of pocket.” The letter doesn’t answer this criticism either, except to state the ridiculous mantra that Express Scripts makes very little money from rebates. Amazingly, a number of Cigna stockholders appear to believe this astounding claim. The purported reason for Express Scripts not earning much money on rebates is because they refund 95% of these rebates to clients. However, this is a complete obfuscation. The major reason Express Scripts can charge huge fees to their clients is that it is the only way they can obtain these rebates. Companies I control spend over $3 million a year in fees to Express Scripts. I would never pay the egregious amount they charge if we did not get back 95% of the rebates. Cigna boasts about how much Express Scripts is earning, which shows they fail to understand that this is the problem. The money that rebates brings them is the very cause of the high price of drugs. Instead of giving these rebates to PBMs, drug companies could pass these reductions directly to the consumer. We all agree that one of the major problems in America is the high price of drugs, and the major reason for these high prices is the fact that drug companies are forced to give rebates to PBMs like Express Scripts in order to get their business. The major victim of this practice is the consumer, and the consumer hurt the worst, unfortunately, is the consumer on the wrong end of the wealth gap. Cigna’s letter completely fails to address this problem, which must be solved by this country and, when it is, it will cost Express Scripts a large percentage of its earnings. Everyone wants drug prices lower – it is a bipartisan issue. I have little doubt that legislation will ultimately be passed to do away with rebates. Another major problem for Express Scripts is Amazon, which will be a formidable competitor that will not need rebates or anywhere near the profit margins of Express Scripts today. Cigna, in its letter of platitudes and obfuscations, never satisfactorily addresses this point. Ask yourself before you vote – why should Cigna pay $60 billion for the privilege of taking on these problems and entering into a transaction that might turn out to be the worst deal in history and perhaps even worse, give Express Scripts the power to keep this scheme going, which might keep drug prices high for the next few years. This will result in having Cigna and the stockholders voting for this deal blamed for a situation they could have avoided. In his 2018 letter to CEOs, Larry Fink of BlackRock wrote: “Society increasingly is turning to the private sector and asking that companies respond to broader societal challenges…Companies must benefit all of their stakeholders, including shareholders, employees, customers, and the communities in which they operate.” Hopefully the index funds will take this opportunity to vote against a deal that will prolong Express Scripts’ ability to profit outrageously from artificially high drug prices at the expense of the American consumer. We believe it is also disingenuous when Cigna management says they anticipated everything that’s happened since the announcement of the deal and that the elimination of rebates would not be significant for them. If that is true, their $60 billion folly is even more egregious. According to a report published by Ross Muken and Michael Newshel of Evercore ISI, Express Scripts likely earns close to $1.1 billion of EBITDA from rebates or $850 million ex-Anthem. This is more than 15% of their total ex-Anthem EBITDA. If you further assume that they convert this EBITDA into fee income at a similar rate as their peers, they would lose $500 million of EBITDA or 10% of total in the next couple of years. Applying the midpoint of the 7-9x EV/EBITDA that peers trade at would imply a sub-$50 stock price for Express Scripts on a standalone basis. This implies that Cigna is paying an almost 100% premium for Express Scripts. Very importantly, these numbers do not include the effect of increased competition from the likes of Amazon and others which will only result in further earnings pressure on PBMs. We truly believe the acquisition of Express Scripts would be a terrible deal – not only for Cigna stockholders, but also for the economy at large. It appears that many agree with my assessment. With even the possibility of eliminating rebates and having Amazon as a strong competitor, it is inexplicably ridiculous for Cigna to risk $60 billion on Express Scripts in a deal that may well go down as one of the worst blunders in corporate history. Aside from Express Scripts (the beneficiary of this massive bailout at the expense of Cigna stockholders) and certain arbitrageurs, we cannot fathom how anybody could support this ill-conceived transaction. We even suspect that some of the directors and officers of Cigna who originally supported the deal, only to be blindsided by the subsequent realization of the shifting regulatory and competitive landscape, may be hoping for a way out. We believe it is a “no-brainer” for Cigna stockholders to vote AGAINST this ridiculous deal. please contact our proxy solicitor, Harkins Kovler, LLC. SECURITY HOLDERS ARE ADVISED TO READ THE PROXY STATEMENT AND OTHER DOCUMENTS RELATED TO THE SOLICITATION OF PROXIES BY CARL C. ICAHN AND HIS AFFILIATES FROM THE SHAREHOLDERS OF CIGNA CORPORATION WHEN THEY BECOME AVAILABLE BECAUSE THEY WILL CONTAIN IMPORTANT INFORMATION, INCLUDING INFORMATION RELATING TO THE PARTICIPANTS IN SUCH PROXY SOLICITATION. WHEN COMPLETED, A DEFINITIVE PROXY STATEMENT AND A FORM OF PROXY WILL BE MAILED TO SHAREHOLDERS OF CIGNA CORPORATION AND WILL ALSO BE AVAILABLE AT NO CHARGE AT THE SECURITIES AND EXCHANGE COMMISSION’S WEBSITE AT HTTP://WWW.SEC.GOV. INFORMATION RELATING TO THE PARTICIPANTS IN SUCH PROXY SOLICITATION IS CONTAINED IN THE PRELIMINARY PROXY STATEMENT ON SCHEDULE 14A FILED BY CARL C. ICAHN AND HIS AFFILIATES WITH THE SECURITIES AND EXCHANGE COMMISSION ON AUGUST 7, 2018. THIS LETTER CONTAINS OUR CURRENT VIEWS ON THE VALUE OF SECURITIES OF CIGNA CORPORATION AND EXPRESS SCRIPTS HOLDING COMPANY. OUR VIEWS ARE BASED ON OUR OWN ANALYSIS OF PUBLICLY AVAILABLE INFORMATION AND ASSUMPTIONS WE BELIEVE TO BE REASONABLE. THERE CAN BE NO ASSURANCE THAT THE INFORMATION WE CONSIDERED AND ANALYZED IS ACCURATE OR COMPLETE. SIMILARLY, THERE CAN BE NO ASSURANCE THAT OUR ASSUMPTIONS ARE CORRECT. THE ACTUAL PERFORMANCE AND RESULTS OF CIGNA AND/OR EXPRESS SCRIPTS MAY DIFFER MATERIALLY FROM OUR ASSUMPTIONS AND ANALYSIS. OUR VIEWS AND OUR HOLDINGS COULD CHANGE AT ANY TIME. WE MAY SELL ANY OR ALL OF OUR LONG POSITIONS, COVER ANY OR ALL OF OUR SHORT POSITIONS OR INCREASE OUR LONG OR SHORT EXPOSURE BY PURCHASING OR SELLING ADDITIONAL SECURITIES. WE MAY TAKE ANY OF THESE OR OTHER ACTIONS REGARDING CIGNA AND/OR EXPRESS SCRIPTS WITHOUT UPDATING THIS LETTER OR PROVIDING ANY NOTICE WHATSOEVER OF ANY SUCH CHANGES (EXCEPT AS OTHERWISE REQUIRED BY LAW). THE INFORMATION CONTAINED ABOVE IS NOT AND SHOULD NOT BE CONSTRUED AS INVESTMENT ADVICE AND DOES NOT PURPORT TO BE AND DOES NOT EXPRESS ANY OPINION AS TO THE PRICE AT WHICH THE SECURITIES OF CIGNA OR EXPRESS SCRIPTS MAY TRADE AT ANY TIME. THE INFORMATION AND OPINIONS PROVIDED ABOVE SHOULD NOT BE TAKEN AS SPECIFIC ADVICE ON THE MERITS OF ANY INVESTMENT DECISION. INVESTORS SHOULD MAKE THEIR OWN DECISIONS REGARDING CIGNA AND EXPRESS SCRIPTS AND THEIR PROSPECTS BASED ON SUCH INVESTORS’ OWN REVIEW OF PUBLICALLY AVAILABLE INFORMATION AND SHOULD NOT RELY ON THE INFORMATION CONTAINED ABOVE. 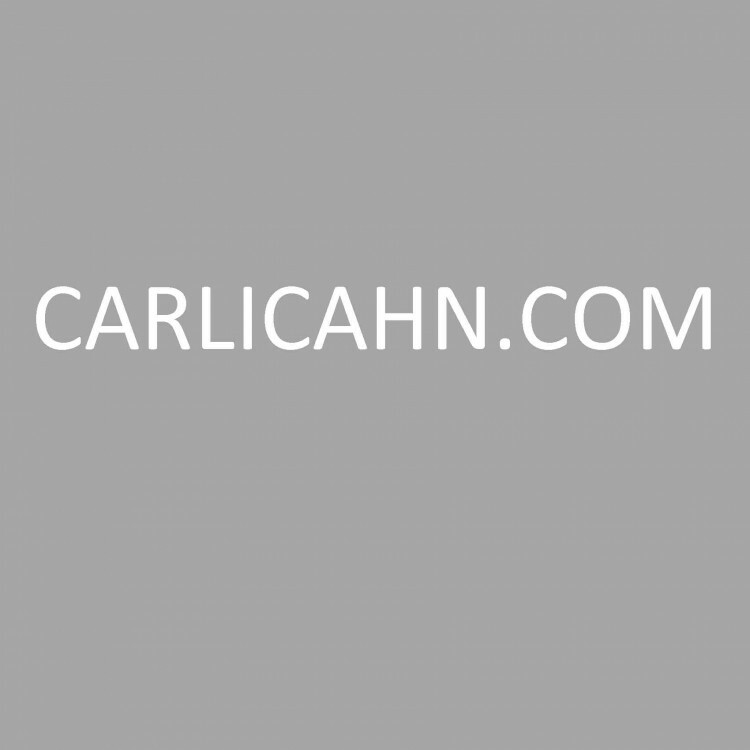 NEITHER CARL C. ICAHN NOR ANY OF HIS AFFILIATES ACCEPTS ANY LIABILITY WHATSOEVER FOR ANY DIRECT OR CONSEQUENTIAL LOSS HOWSOEVER ARISING, DIRECTLY OR INDIRECTLY, FROM ANY USE OF THE INFORMATION CONTAINED ABOVE. Certain statements contained in this letter are forward-looking statements including, but not limited to, statements that are predications of or indicate future events, trends, plans or objectives. Undue reliance should not be placed on such statements because, by their nature, they are subject to known and unknown risks and uncertainties. Forward-looking statements are not guarantees of future performance or activities and are subject to many risks and uncertainties. Due to such risks and uncertainties, actual events or results or actual performance may differ materially from those reflected or contemplated in such forward-looking statements. Forward- looking statements can be identified by the use of the future tense or other forward-looking words such as “believe,” “expect,” “anticipate,” “intend,” “plan,” “estimate,” “should,” “may,” “will,” “objective,” “projection,” “forecast,” “management believes,” “continue,” “strategy,” “position” or the negative of those terms or other variations of them or by comparable terminology. Important factors that could cause actual results to differ materially from the expectations set forth in this letter include, among other things, the factors identified under the sections entitled “Risk Factors” in Cigna’s and Express Scripts’ Annual Reports on Form 10-K for the year ended December 31, 2017 as well as the factors identified in Cigna’s and Express Scripts’ other public filings. Such forward-looking statements should therefore be construed in light of such factors, and we are under no obligation, and expressly disclaim any intention or obligation, to update or revise any forward-looking statements, whether as a result of new information, future events or otherwise, except as required by law.